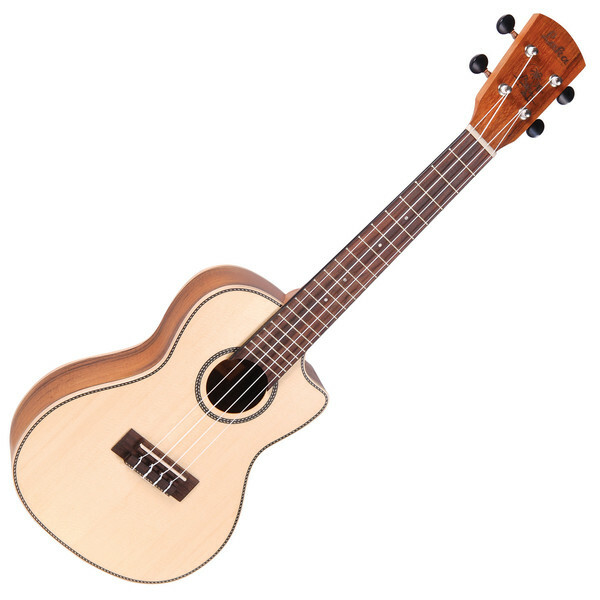 The Laka VUC80EA is a full bodied, concert electro acoustic ukulele with a Solid Sitka Spruce top, Koa back and sides and a Mahogany/Nato neck that offers a new tonal variation for the uke. The inclusion of Grover tuners means your ukulele will have the best tuning stability whilst the cutaway offers great access to the higher frets. The VUC80EA is fitted with a Fishman Sonitone Preamp as standard. The Laka VUC80EA is made from high quality Spruce and Koa. With an open pore satin finish and strung with premium Italian Aquila strings, this Laka Ukulele offers fantastic performance and sound.